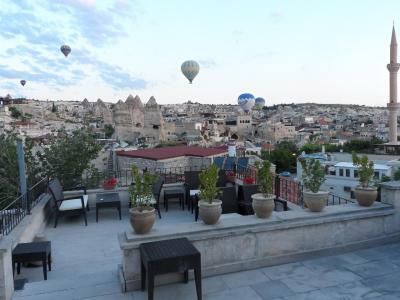 Lock in a great price for Diamond of Cappadocia - rated 8.8 by recent guests. everything about our stay was breathtaking from the minute we arrived to the second we left, i could have stayed there forever! The staff is really helpfull and is willing to help you with all request and needs. 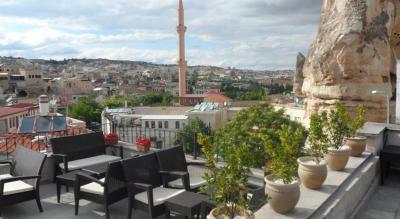 Egemen was accommodating and was very helpful with our inquiries. He can speak english. 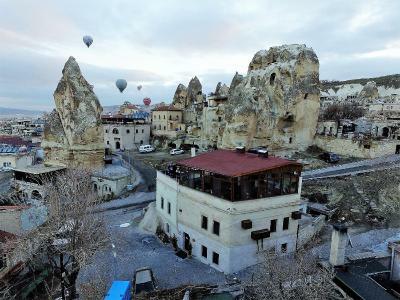 I like the location of the hotel because its very central and just 10min walking distane to the sunrise view of the Hot Air Balloon. 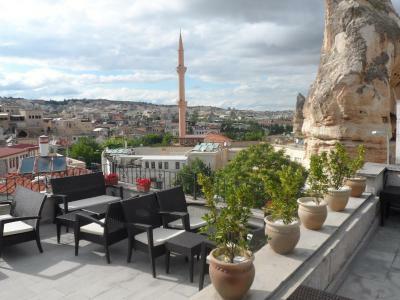 the excellent location! 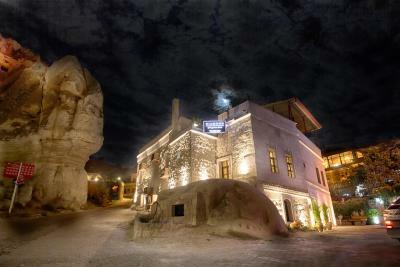 the hotel manager is super friendly and super helpfull and provides full support! 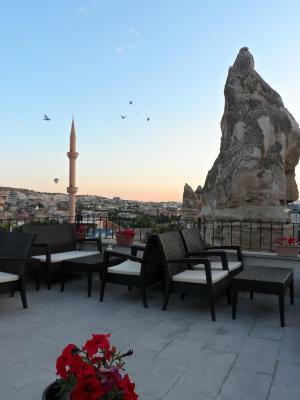 the view of the hot air balloons from the hotel terasse is wonderfull! Todo fue perfecto! El manager nos ayudo con todo e inclusive nos consiguió las boletas para los globos que no habían!! volvería sin dudarlo!!! Es un lugar mágico!!! le personnel serviable bien que non anglophone. la connection wifi la situation géographique. 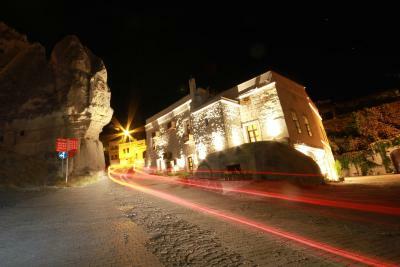 Diamond of Cappadocia is located in Goreme. 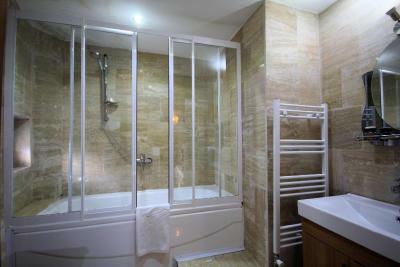 Free WiFi access and a 24-hour front desk are available. 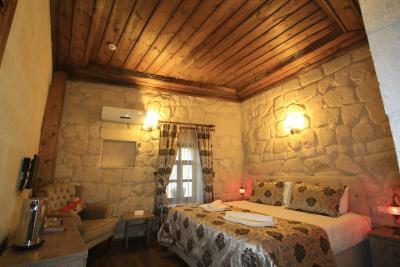 Each room here will provide you with air conditioning, a minibar and a seating area. There is also an electric kettle. 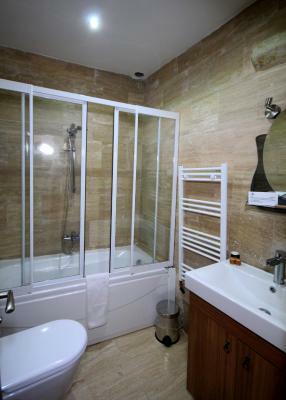 Featuring a bath or shower, private bathroom includes a hairdryer and free toiletries. 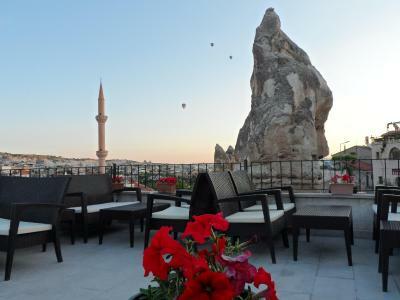 Guests can relax and enjoy wonderful views of Fairy Chimneys from the terrace. 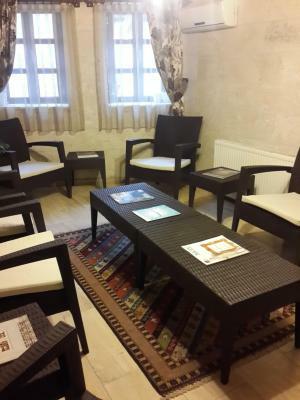 There is a games room where the guests can enjoy their time. 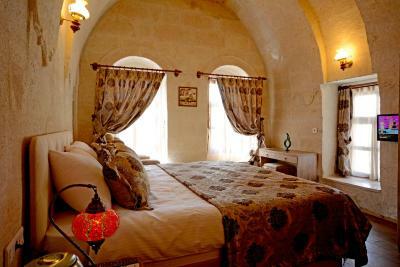 Helpful staff at the property can assist the guests with organising tours. 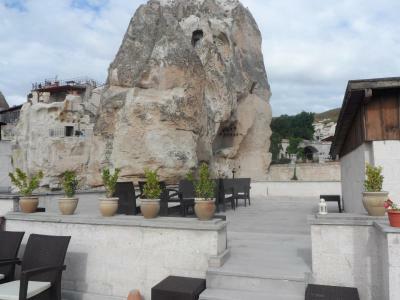 The nearest airport is Nevsehir Airport, 26.1 miles away. 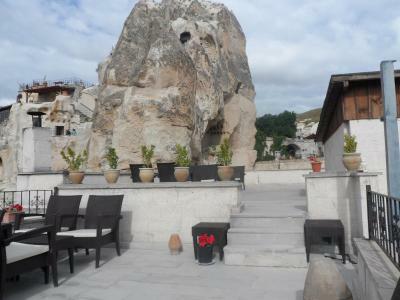 This is our guests' favourite part of Goreme, according to independent reviews. 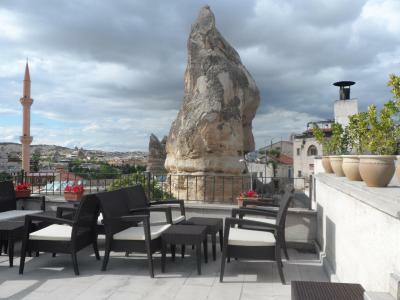 Diamond of Cappadocia has been welcoming Booking.com guests since 4 May 2015. 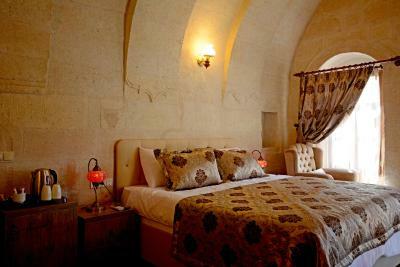 When would you like to stay at Diamond of Cappadocia? 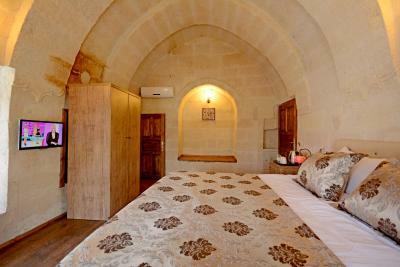 This triple room has a tile/marble floor, flat-screen TV and soundproofing. 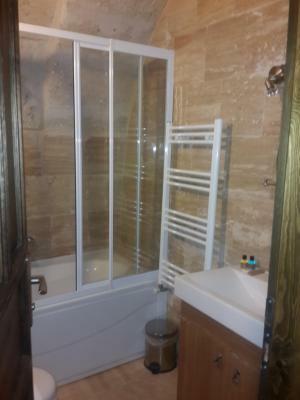 This double room has a soundproofing, satellite TV and electric kettle. House rules Diamond of Cappadocia takes special requests - add in the next step! 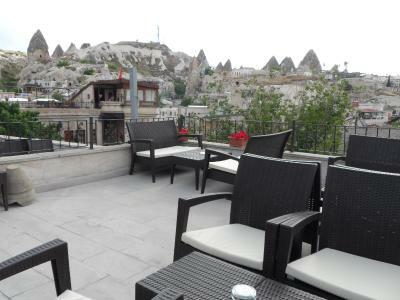 Diamond of Cappadocia accepts these cards and reserves the right to temporarily hold an amount prior to arrival. No water. When i put my key in to switch on the lights it smelt like the power was going to blow. The toilet flushing didn't work. We just had a minor problem with regards to the arrangement of shuttle pickup from the airport to the hotel. 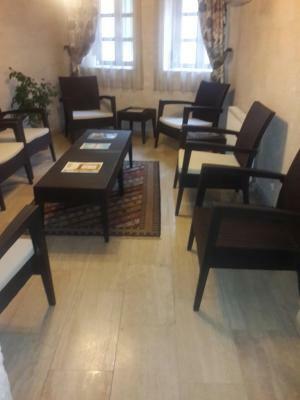 We were the only ones left at the arrival and as mentioned someone with my name will pickup us up at the arrival but we waited for more than 30mins and had to call the property twice and follow up again just to ask if there was anyone coming to get us. We had a good stay here. There was no aircon but luckily we were there in a nice Weather. Not too hot and not too cold. Location is great, but the street the hotel is located on is very busy. All upper town traffic passes through this road, and across the street is a restaurant. Expect lots of noise coming from this. Specially if you have a room at the front of the building. 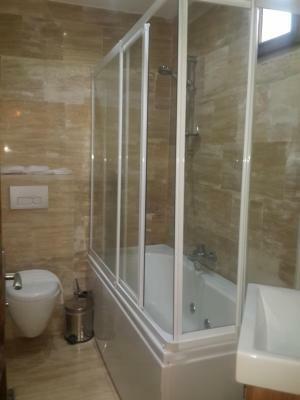 My room size was okay, but the bathroom was closet size. A real disappointment. Not every day my room was cleaned, or did i receive fresh towels. I had to ask fir this. Breakfast is at 8:30am which is simply too late. At 6am watching the balloons from the roof terrase it would have been nice to enjoy a hot coffee or tea. Unfortunately not. The A/C in the room isn't efficient, they put a fan in our room so that the room atmosphere will be cooler. The electricity was off, one morning, because there was a breakdown in the generator, but it was repaired the same day. The house cleaner forgot to clean our room one day, so we had to wait in the afternoon for the hotel staff to clean it.